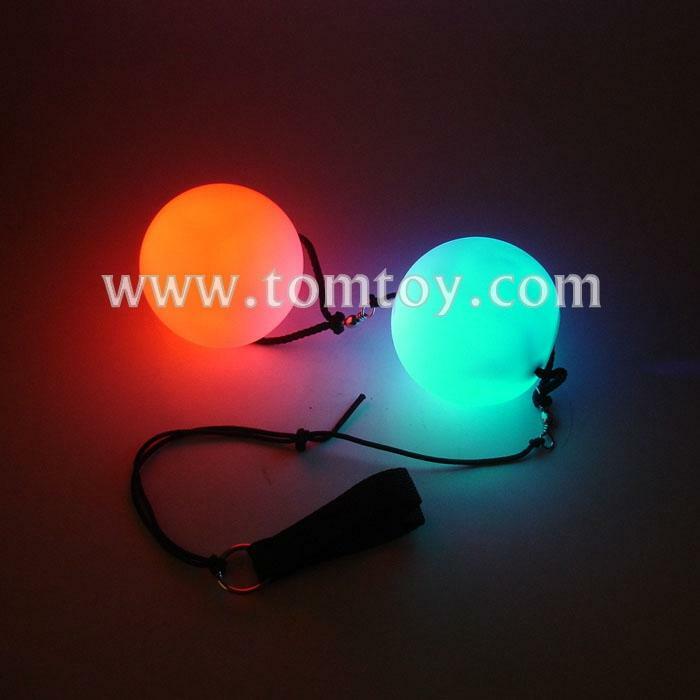 1.Experience having LED Double Poi balls to lighten up your party. 2.Made with soft balls and muliple LED lights inside and comes with adjustable string. Everyone will definitely love juggling these balls that create a glowing trail of colors while spinning. 3.Feel like a true fire dancer without the burns with these safe LED poi balls. Easy to use, and absolutely amazing Led Balls product. 4.Bright colorful poi balls comes with four AG13 batteries included and is super hit for all ages and enhances any party.